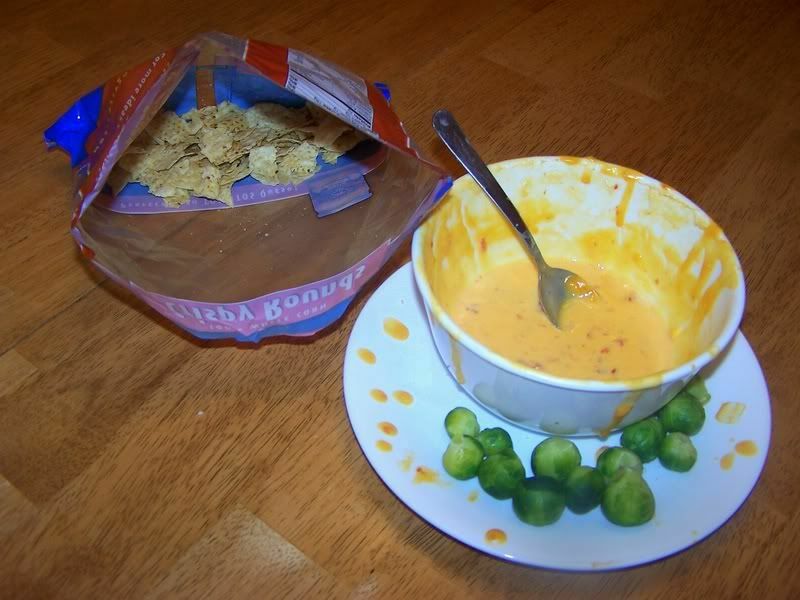 Tortilla chips, Rotel dip and brussel sprouts. I've got all the major food groups covered-- grains, dairy and veggies! Pretty smart combo, eh? See how the brussel sprouts cancel out the fattening cheese?